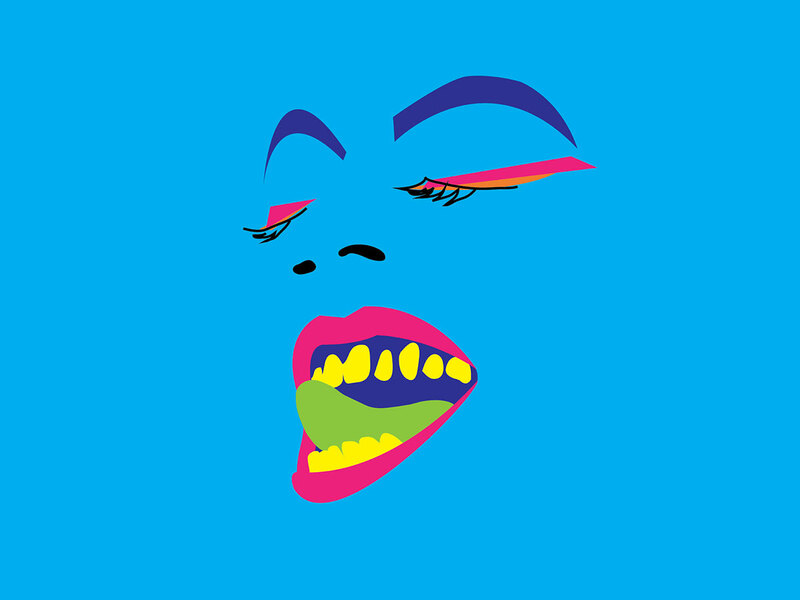 The University of Michigan School of Social Work will present a commissioned solo performance work by artist, writer, performer and DJ Juliana Huxtable on Wednesday, February 6, 2019 at 5 PM (doors open at 4:30 PM) at the Lydia Mendelssohn Theater, which is located within the Michigan League at 911 North University Avenue (theater entrance on Fletcher Street; parking at Palmer Drive Parking Structure and Thayer Street Structure). Ms. Huxtable’s performance is presented with additional support from the University of Michigan Museum of Art (UMMA); the U-M Institute for Research on Women and Gender; and the U-M Spectrum Center, which helps enhance campus life for LGBTQ+ students, staff and faculty. This event is part of the university’s 2019 Reverend Dr. Martin Luther King Jr. Symposium and offered free of charge. Juliana Huxtable is an American artist, writer, performer and musician. Exploring the intersections of race, gender, queerness, technology and identity, Huxtable uses a diverse set of means to engage these issues, including self-portraiture, text-based prints, performance, nightlife, music, writing and social media. Huxtable references her own body and history as a transgender African American woman as she challenges the socio-political and cultural forces that inform normative conceptions of gender and sexuality. She lives and works in New York, where she is the founder and DJ for Shock Value, and part of House of Ladosha, a nightlife collective run by artists, DJs, writers and fashion icons. Huxtable’s art and performance work has been featured at Roskilde Festival, Denmark (2018); Rewire Festival, Netherlands (2018); Park Avenue Armory, New York (2018); Reena Spaulings, New York (2017); Project Native Informant, London (2017); MoMA PS1, New York (2014); Whitney Museum of American Art, New York (2014); Frieze Projects, London (2014) and the New Museum of Contemporary Art, New York (2015), among other venues. Huxtable's work is featured in Art in the Age of the Internet: 1989 to Today, on view at UMMA through April 7, 2019. She will stage a performance presented by the U-M School of Social Work on Wednesday, February 6 at 5 PM in the Lydia Mendelssohn Theater. The presentation of Ms. Huxtable’s work is part of the School of Social Work’s initiative to build its collection of contemporary fine art with social themes. The existing collection includes work by Keith Haring, Robert Rauschenberg, Diane Arbus, Frank Stella and William Kentridge and many others.